Germany's walled city of Rothenburg ob der Tauber looks untouched by time. Entering through a towering gateway, the medieval village soon reveals itself to be filled with cobblestone streets and gabled houses that are almost worthy of a movie set. This real-life wonderland is known throughout Europe for its long-standing Christmas traditions, all just a stone's throw from your Rothenburg hotel. Rothenburg's famed Reiterlesmarkt is a Christmas market that has been taking place in the charming town for more than 500 years. Every December, the city centre is transformed into a fairytale Christmas village. As the hamlet's red tiled roofs take on a dusting of snow, wooden huts appear along the squares and narrow alleyways next to the town hall. Decorated with thousands of fairy lights, the seasonal chalet-style huts sell ornate baubles to hang on Christmas trees at home, as well as modern gadgets and old fashioned German handcrafts. 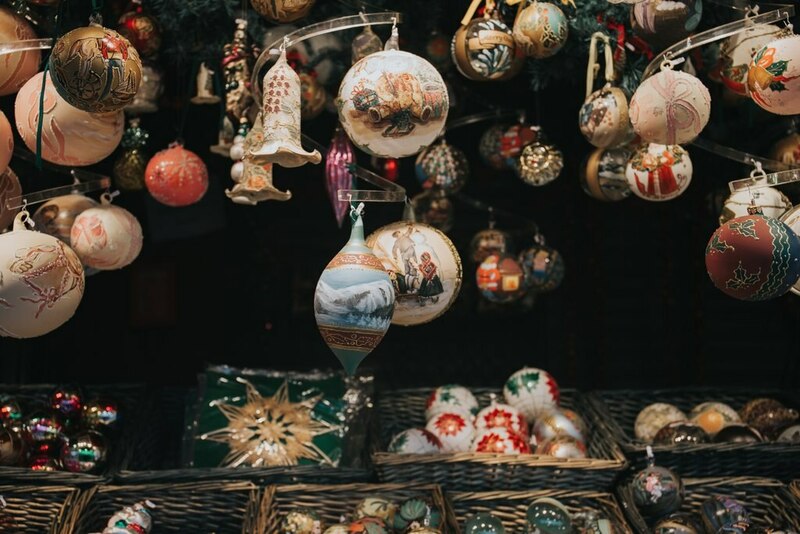 Between the stalls selling whimsical ornaments and traditional crafts, the smell of German delicacies tempts shoppers to stop to sip and snack. In addition to bratwurst and mulled wine, the market is best known for its sweet "Rothenburg Snowball." Known as "schneeballen" in German, the classic round cake is made of shortcrust pastry dough and covered in a dusting of sugar - hence its creative name. The surrounding Bavarian region is also famed for its excellent quality wine, which is one more reason to order a mug of steaming gluhwein. For entertainment, brass bands perform holiday music and Santa Claus appears every evening to hand out sweets to children in front of the market's brightly adorned Christmas tree. The most beloved cultural event is the opening of the market. The kickoff to the Christmas bazaar has long been marked by the appearance of the Rothenburger Reiterle - or "Rothenburg Riders," from whom the advent fair takes its name. The mythical horsemen once portrayed as fearsome characters, but today the legendary 'Reiterle' are known for bringing good news and gifts for the holidays. But Rothenburg's Christmas spirit is hardly limited to the marketplace. Surrounded by 42 towers, the enclosed city is enchanting in the winter light. For the best view of the medieval town and the festive market, the Rothenburg's Town Hall Tower is open every weekend and offers a unique vantage point from which to admire the stalls and decorations. The romantic Bavarian town is also home to a German Christmas museum. 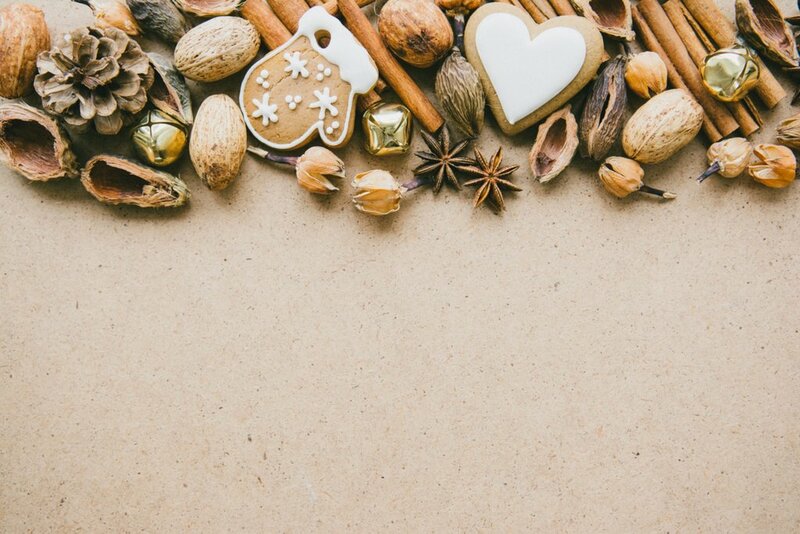 In addition to antique decorations from the 1800 and 1900s, the museum has exhibits which explore the history of holiday traditions such as advent calendars and can be visited year round. This family-friendly Rothenburg ob der Tauber hotel is located in the historical district, just steps from Kathe Wohlfahrts Christmas Museum and Rothenburg Town Hall. Burggarten and German Christmas Museum are also within 5 minutes. A family run hotel with a personal feel, one kilometer from both central Rothenburg and good biking and hiking trails. The individually decorated rooms employ a balance of contemporary and traditional furnishings; all have Internet connections. Guests can try varied contemporary cuisine in the restaurant with its garden terrace, or relax with a book in the library. This family-friendly Rothenburg ob der Tauber hotel is located in the historical district, within a 15-minute walk of Gerlachschmiede and Rothenburg Town Hall. Alt-Rothenburger Handwerkerhaus and Doll and Toy Museum are also within 15 minutes. The Burg-Hotel Relais du Silence is a charming Rothenburg ob der Tauber hotel that is located in a historic building and is full of deluxe amenities for a truly memorable holiday in Bavaria for leisure travelers, couples, and families. Originating in the 12th century, the Burg-Hotel Relais du Silence is situated next to an ancient Dominican Monastery and just a short stroll from the historic Burgtor Castle Gate and stunning Burg Gardens. Within the hotel, guests will find the romantic Steinway Cellar with a grand piano and parlor to relax in the evenings. During your holiday at the Burg-Hotel Relais du Silence, you can enjoy exploring the well-preserved medieval sites and attractions throughout the historic town of Rothenburg ob der Tauber in the beautiful Bavarian region of Germany. In Rothenburg ob der Tauber the family-run Altes Brauhaus Hotel boasts a central yet peaceful location, surrounded by romantic buildings. Offering modern comfort and convenience, this charming hotel is tastefully decorated and offers the ideal base to spend pleasant family holidays or weekend breaks. The welcoming Altes Brauhaus Hotel features underground garage, 2 Elevators, Souvenirshop, Beergarden, romantic Garden, sunny Terrace, playcorner for children and 3 meeting rooms. Have you ever dreamed of sleeping like a king? You can make this dream come true in an accommodation in a medieval castle in Franken , in the middle of the Naturpark Frankenhöhe . The location of the Burg Hotel Colmberg on the Romantic Road and the Altmühl cycle track is also perfect for day trips to the beautiful historic town of Rothenburg ob der Tauber , the city of Nürnberg , and the Franconian Jura. The castle Burg Colmberg dates back to 1150. It was built by the counts of Hohenlohe , and was later renovated in Gothic style. Today, the Burg Hotel Colmberg is run as a hotel and restaurant, offering accommodation, local food, and a historic setting for conferences, weddings, and other festivities for up to 130 people. The exceptional scene is completed by a mountaintop view over the surrounding landscape, yet provides every modern equipment and comfort. In a picturesque location in this medieval town stands a customs house dating back to 1264. The Hotel has been in the same family for 4 generations and is a member of Romantik Hotels and Restaurants International. The rooms are individually and lovingly furnished in modern or antique style and all feature complimentary high speed wireless internet access. Whether in a Biedermeier room; an Empire suite or an oasis of dreams in Laura Ashley style you will find yourself spoiled for choice. Do not miss the famous wine soup in the paneled restaurant as well as the home brewed beer. Additional information; Children age 0-2 pay 15 EUR per night. Children over this age will be considered an adult. The hotel reserves the right without prior notification cancel any reservation with an invalid or incomplete credit card number. The Landhotel Schwarzes Roß is an idyllic country hotel in Bavaria right in the middle of the Steinsfeld village, close to the mediaeval town Rothenburg ob der Tauber . Host in a restored farm house, and surrounded by beautiful hayfields and forests, this small and familiar hotel is located between the Taubertal valley and the natural park Frankenhöhe . With its comfortable guest rooms, the playground, horses and a petting zoo the Landhotel Schwarzes Roß is the perfect destination for tranquil family holidays on a farm . Thanks to its large and modern meeting facilities it is also a very attractive business hotel in Middle Franconia . The hotel boasts a restaurant with a small menu of regional snacks and wines, that can be served on the terrace upon request. Warm dishes will be only prepared for groups. The hotel Meistertrunk enjoys an excellent location in the historic centre of Rothenburg ob der Tauber. This small hotel, housed in an ancient noble building, whose origins date back from Middle Ages, features many amenities, including a restaurant and parking facilities. Located in the heart of this medieval town which gets its name from the characteristic red roofed houses by the river, the Akzent Hotel Schranne Hotel in Rothenburg ob der Tauber offers guests a lovely place to stay and get to know this incredibly charming German town. Guests may be visiting this 3 star Germany hotel for the warm hospitality or the delicious traditional food but most people may be wanting to walk the sweet romantic streets that inspired the sets of movies such as Pinocchio and Chitty Chitty Bang Bang . This 17th century Germany hotel was once the residence of nobles and that is exactly the sort of treatment you can expect from this hotel. Offering affordable accommodation in the centre of town, the Hotel & Gasthof Zur Sonne is ideal if you are searching the net for Hotels in Rothenburg ob der Tauber . With its own restaurant serving local specialities, outdoor parking and wireless internet access, you are sure to have a more than comfortable stay here. The Hotel & Gasthof Zur Sonne restaurant serves a selection of Franconian dishes including roast pork with home-made potato dumplings and sausage platters with a potato strudel to get your taste buds going! Don't miss out on the fresh fish and vegetarian dishes, even the meat-lovers among you! In addition to all this, Hotel & Gasthof Zur Sonne provides you with comfortable accommodations within easy reach of the city's main attractions. The Uhl hotel offers comfortable Rothenburg ob der Tauber – Germany accommodation for leisure and business travelers alike. The hotel is located only a five minute walk away from the Marktplatz , right in the heart of the Old Town, and impresses with its friendly and welcoming atmosphere. The cozy Uhl hotel caters to a wide range of travelers, and provides single, double, triple, and quadruple accommodations, all equally comfortable and uniquely decorated. Property amenities include a lovely restaurant that serves delicious French specialties, a wide range of coffees, and mouthwatering deserts, such as the Schneeball - a local specialty. Stroll along the cobbled streets of the Old Town and admire the picturesque houses and the impressive Röderturm . Notable landmarks include the Church of St. Jacob , the Town Hall, and the Crime Museum . Prinzhotel Rothenburg is known for its historic location inside the impressive town walls. Enjoy a prime position for one night, a short break or a romantic weekend. Visit us on your bike trip and enjoy the ultimate Rothenburg experience. The Prinzhotel has much more to offer than accommodation. Silent and comfortable rooms as well as the historic ambience of our hotel and the town Rothenburg make your stay memorable. Limited reception hours: 06.30 am - 11.00 pm. If you arrive outside opening hours please contact the hotel for details. Hotel Fantasie is the right choice for both business and leisure travellers. Located on the outskirts of Ansbach, it is the resorts second largest hotel. It comprises 17 single rooms, 19 double rooms, 2 three-bed and 2 four-bed rooms, as well as a holiday apartment for 4 people. Free parking spaces are available in the yard, and there is also a large public car park in front of the hotel. Furthermore, garages can be rented. There are also garages available for bicycles. The Bezold is a small beautiful guest house in Rothenburg ob der Tauber, in front of Galgentor (gallows gate), the main entrance to the old city, boasting magnificent landscapes between the Tauber valley and the near Frankenhoehe highlands. The experienced and friendly owners offer quality service and will ensure you a memorable stay in the medieval city, Rothenburg ob der Tauber. Bezold guest house features elegant rooms, a typical Franconian restaurant with two dining rooms, a banquet room for groups, a garden and a parking.